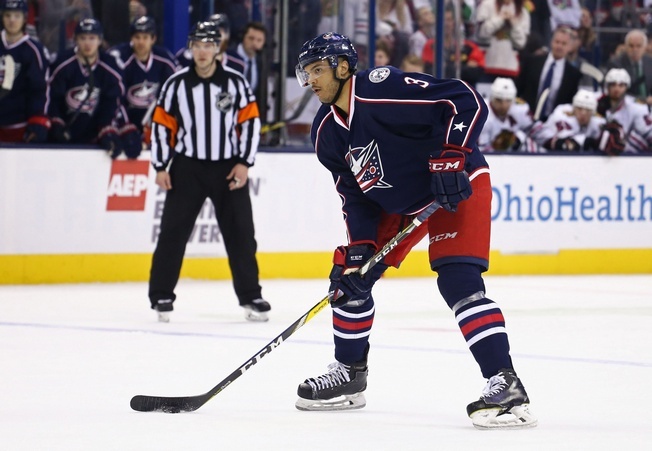 The Columbus Blue Jackets have signed defenceman Seth Jones to a six-year contract worth a reported average annual value of $5.4 million. The team made the announcement on Wednesday. Jones was set to become a restricted free agent on Friday. Indeed, Jones has been a solid fit for the Blue Jackets thus far. Columbus acquired the blueliner on January 7 in a trade that sent centre Ryan Johansen to the Nashville Predators. In 41 games with the Blue Jackets, Jones put up 20 points. The contract extension effectively wards off any offer sheets, which could’ve been a considerable issue given how much of an asset the Arlington-born defenceman is. He’s already a top-tier player, which means he gets plenty of ice time and is only set to gain more minutes as time goes by in Columbus. And his big point shot ensures that he’ll be a fixture on the power play. The Blue Jackets already boast the likes of Ryan Murray and Jack Johnson on the blueline, but Jones vaults to the top of most depth charts and Kekalainen wants to ensure he stays there. Columbus has $42,858 remaining in cap space, with a dozen forwards, seven defencemen and two goalies under contract. There may be some buyouts in order if the Blue Jackets want to free up any money, but you’ve got to think the club is relatively content with the way things are. In the 2016 NHL Entry Draft, Columbus solidified things by picking forward Pierre-Luc Dubois of the Cape Breton Screaming Eagles. The third overall pick gives them a nice option down the line. Dubois was one of only two 17-year-olds invited to the Team Canada selection camp for the 2016 World Junior Hockey Championship.